Cartagena de Indias is the capital of the Bolivar region of Colombia, situated along the Caribbean coastline. This place is scattered with plazas and markets; here is our guide to the best markets. 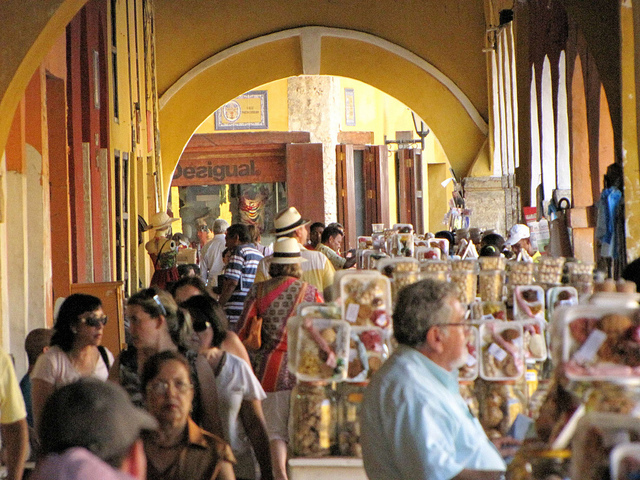 This market takes you out of the charming old city and into the depths of local life in Cartagena. The Mercado de Bazurto is dirty, rowdy and huge. It is filled with intriguing items ranging from knock-off brand name sports gear to some of the most fresh and exotic Colombian ingredients not found in the supermarkets. 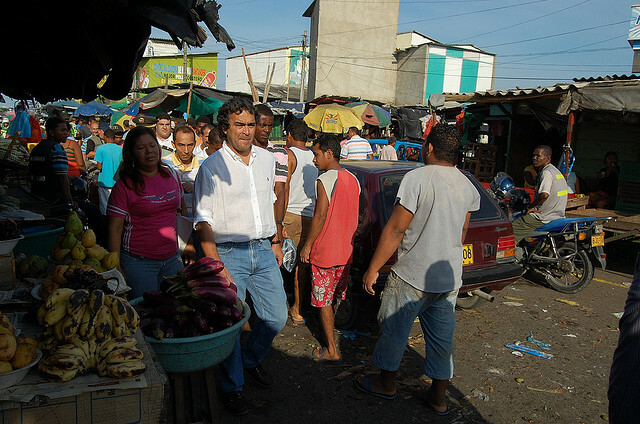 Being wary of thieves and locals, tourists don’t tend to venture into this market often or alone. But if you are an adventure-seeking traveller, this market is worth a visit for the cultural experience alone. Perhaps the most famous of the markets in Cartagena, Las Bóvedas (Spanish for ‘the vaults’) is an arcade underneath the wall of the Old Town right by the sea. 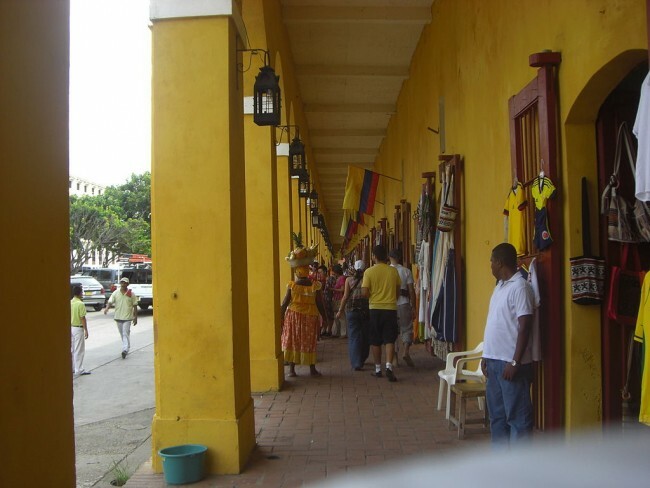 It contains different shops selling souvenirs, traditional Colombian clothing, jewelry, paintings – you name it. Originally built as dungeons in the 18th century by Antonio de Arevalo, Las Bóvedas was used as storage units and later, as prison cells. Now, it is home to some of Cartagena’s most sought-after antiques and handicrafts. 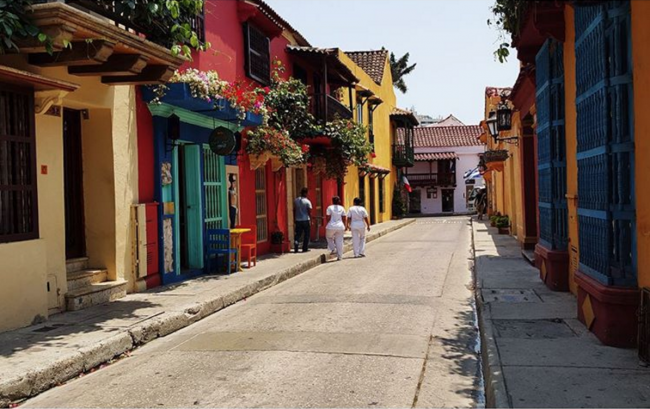 This bustling marketplace is never short of something interesting to look at and is a cultural gem of the beautiful Old Town of Cartagena. Unlike Cartagena’s official central market, the market on Calle de la Gobernación is made up of an assortment of street vendors selling everything from arepas (flatbreads) to beautiful impressionist renditions of Cartagena’s colorful streets. Here you will find handmade Colombian jewelry, clothing and knick-knacks. Located just beside the Plaza Santo Domingo and the beautiful Palace of the Inquisition, this pop-up market might just disappear in seconds when authorities try to clear away the vendors. 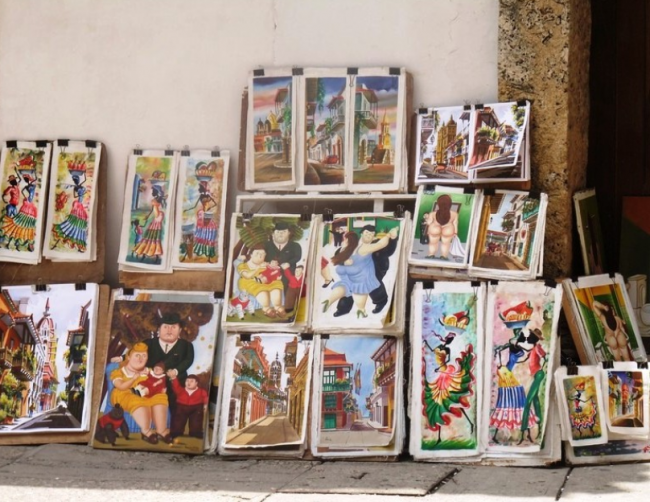 If you’re lucky, you may find incredibly beautiful and original art pieces of Cartagena de Indias to take home with you. Located under the arches at Plaza de Los Coches, directly across from the beautiful Clock Tower Gate, the famous Portal de Los Dulces is a market that caters only to your sweet tooth. Indulge yourself on endless traditional Colombian sweets all displayed in large and small glass jars. From coconut everything to rock candy and fresh fruit, the vendors at Portal de Los Dulces have been selling these handmade local goodies for more than 100 years under the arches. The best time to get the most of this little market is during the Festival del Dulce in March, when the market expands into a full-blown candy heaven. Plaza San Diego is a small square located around the corner from the house of Colombia’s national treasure, Gabriel Garcia Marquez, and the famous Las Bóvedas marketplace. During the daytime this picturesque plaza is a quiet and restful place to relax. As the sun goes down local vendors come out to showcase local art, jewelry, and souvenirs. Performers and impersonators entertain the crowds while food stalls and restaurants surround the square – Plaza San Diego is suddenly buzzing with life and excitement. This is the perfect place to find little gifts to remember Cartagena de Indias. Spend an enchanting evening wandering the colorful streets of the Old Town and embracing the local craftsmanship.